In May 2016, over 120 business leaders, government officials and representatives of the media and international partners met in Bucharest for a one-day international conference entitled Public–Private Partnership for Early Childhood: A Chance to Improve Romania’s Competitiveness. The high level of participation among Romania’s business community showed that the economic case for investing in young children is resonating: that the level of investment in today’s young children influences the quality of the current workforce, the future workforce and the future customer base. An investment in young children is an investment in Romania’s future competitiveness. The conference was part of a programme begun a few months earlier, at the beginning of 2016, to identify and convene Romanian business champions for young children. It was initiated by the Step by Step Center for Education and Professional Development (CEDP), which promotes democratic principles in education and child protection in Romania, in partnership with the International Step by Step Association, an early childhood-focused platform organisation with members in over 40 European and Asian states. With financial support from OSF-ECP (the Open Society Foundations Early Childhood Program), we worked with expert consultants from ReadyNation, which for several years has successfully involved business leaders in the USA in investing in and advocating for programmes for young children. Conversations with ReadyNation helped us to understand the best ways to engage business leaders by emphasising how investments in early childhood can improve future national competitiveness and the environment for doing business. As the technologies of the ‘fourth industrial revolution’ change many working environments at an increasingly rapid pace, the business community is keen to recruit employees with ‘core work-related skills’ such as creativity, cognitive flexibility, reading comprehension, technological literacy, emotional intelligence, negotiation, decision making, critical thinking, active listening, complex problem solving and data analysis (World Economic Forum, 2016). Approaching business people was an adventure. 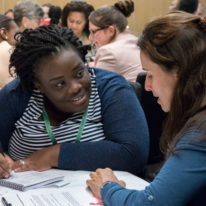 We learned that making one enthusiastic, high-level connection can help to open doors to others in the business community. In our case the key figure was Radu Enache, former Country Director of Hewlett Packard, who immediately grasped the importance and magnitude of the issue and joined the initiative on a volunteer basis. 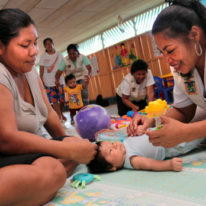 At the conference, international experts in economics and child development made the case for investing early. 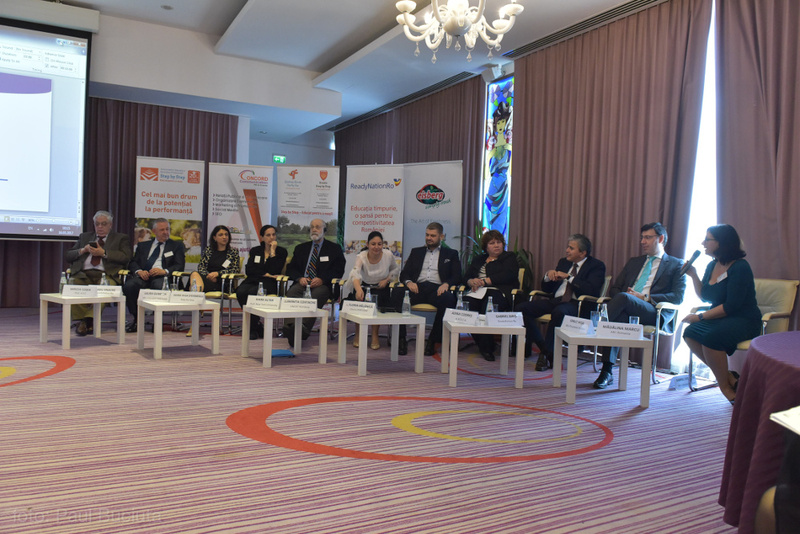 Members of the business community and media representatives discussed what difference early investment can make in the life of a child, and how a higher-quality system of early childhood education and care in Romania could translate into real economic benefits. The conference yielded immediate results: several new business leaders made contact to join the initiative; and Gabriel Biris, then State Secretary in the Ministry of Finance, proposed new measures to support businesses to offer better services to their employees with young children. In Romania, early childhood has generally not been a high priority on the public policy agenda. 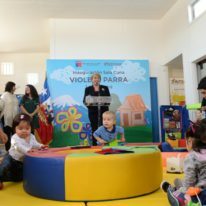 In 1990, at the end of the Communist regime, Romania had close to 1000 distinct programmes offering services to children up to 3 years old; by 2016, that had dwindled to around 300, serving mostly urban populations. Nationally, the percentage of children in this age group who are enrolled in early childhood education and care services is very low. There was a promising development in 2011, when legislation was passed that for the first time mentioned that ‘education starts at birth’ (Law no. 1/2011). Unfortunately, however, the will to translate this legislation into tangible changes in policy and practice was confined to professionals in early childhood who have very little influence at policy level. 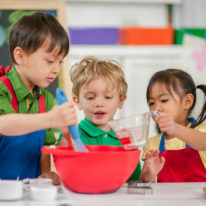 Recent years have seen increasing enrolment in preschool education, but there has been very little discussion about the quality of these expanding services – which is what really makes the difference, especially to children coming from vulnerable groups. There is widespread concern in Romania about educational outcomes among older children. For example, 42% of the country’s 15 year olds are reported to be functionally illiterate (Organisation for Economic Cooperation and Development, 2015), and the school dropout rate reached as high as 18.4% in 2010 – with a significantly higher rate in rural than in urban areas (Ministerul Educaţiei Naţionale, 2014). But in public debate the link is not generally made between these educational outcomes and the lack of quality services for young children and their families. Can the attention of the business community focus the attention of the public and policymakers on the need for greater investment in early childhood services? The early signs are promising. After a year of outreach to the business community, CEDP can count on more than 20 active and high-profile supporters, who have exposed hundreds more business leaders to the topic. We are discussing partnerships with business organisations including Am Cham and the Romanian Business Leaders and Bankers Association.